For almost 70 years, the Volkswagen Beetle has been a part of American history — and, in particular, New York. 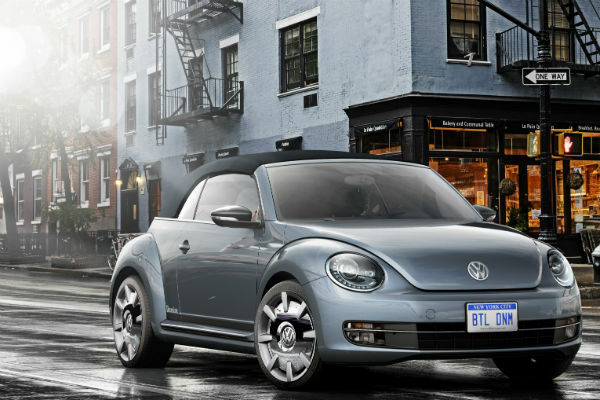 The first two Beetles were shipped to the U.S. via New York, nearby Englewood Cliffs, New Jersey was Volkswagen of America’s first headquarters, and the current Beetle made its world debut at the New York Auto Show in 2011. 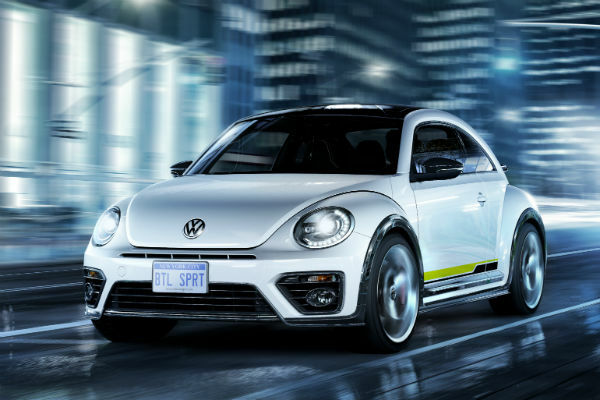 Fast forward four years and VW will, at this week’s New York Auto Show, continue to weave that thread with the debut of a line of new Beetle concepts. Each pays homage to the iconic vehicle’s bubbly past — think retro throwbacks — while alluding to a possible more aggressive future. While each of the Beetles differ rather dramatically in everything from their paint schemes to standard equipment to inspiration cues, one thing is certain: These cars are not inconspicuous. Rather, each Beetle seen here, whether they include a 1.8- or 2.0-liter turbocharged engine, offers its style-conscious owner a unique opportunity to make a true visual statement with their car. The casualness of denim served as the inspiration for this model, which first debuted in the mid-1970s as the Jeans Bug (or Beetle). 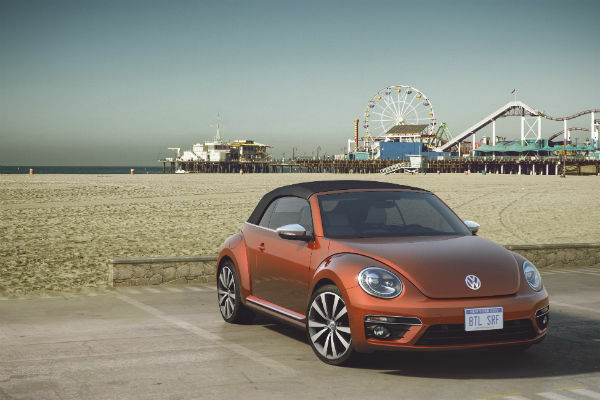 With other “jeans” special models followed in subsequent decades, Volkswagen is showing the first droptop version in this style. On the exterior, the fast opening power soft top features a dark blue, textured denim-like fabric. Stonewashed Blue Metallic paint was developed specifically for the concept car, but nine other colors will also be available for a production version. The exterior mirror caps, side skirts and body moldings are finished in gray and the appearance is finished off by 18-inch disc aluminum-alloy wheels. The use of denim extends to the interior as well — most notably in the restyled sport seats in blue, the inner seating surfaces upholstered in light blue fabric, and the outer surfaces designed in dark blue V-tex leatherette. The piping is featured in a contrasting white and the usual small Beetle flags are colored red. Storage pockets abound, from the denim-look pockets on the backs to the sides of the seats. Other unique features include a brushed matte aluminum dash, door shoulder panels painted in the exterior color, contrasting blue door armrests, light ceramic stitching on the steering wheel and shift lever, and a front center armrest that has contrasting stitching and blue fabric. Think of this as the Beetle that you or your parents would’ve driven to the beach to surf back in the day — or now. Designed to take full advantage of the idyllic summer climes, this convertible is painted a festive Habanero Orange Metallic, offset by rather imposing 19-inch rims and chromed door mirrors. Inside, it’s all retro. Seating inserts boast a houndstooth pattern that harkens back to the 1950s and 1960s. Visually, the seats complement the genuine wood dashpad designed in the style of a traditional surfboard. Again, it’s a concept car, but much like the Beetle Dune that was shown at the North American International Auto Show in Detroit in 2014, VW is quick to appease customer demand. To wit, the Dune arrives in dealer showrooms in early 2016. Last but not least, this year’s concept Beetle that doesn’t boast a cheeky color scheme is also the one that shows how the Bug could potentially evolve. Designed with a lower roof and longer hood to give a sportier stance — even though its silhouette features the iconic graphic of three semi-circles for the front and rear fenders and the roof — the Beetle R-Line concept is finished in Oryx White Pearl effect paint. A fully customized exterior features aggressive bumpers that have large air vents at the front and wrap-around high-gloss black moldings that extend down the sides of the car. Other visual changes include a rear diffuser, painted black exterior mirror caps, a large rear spoiler and 20-inch Monterey rims. Inside, upgraded sport bucket seats keep riders in check while the dashpad, door inserts and steering wheel spoke trim all feature carbon fiber-style finish. Adding a jolt of color comes in the form of the yellow finish of the instruments, decorative stitching in the cabin and door accents.